Los Angeles… even when I’m pulling my hair out because there’s a half hour wait at Del Taco on a Tuesday, at 2:00 pm, you’re still one of the most beautiful places the world has ever seen. But seriously though, after leaving Cleveland for the City Of Angels my life has encountered a brand new batch of challenges and pleasantries. Believe me, the assimilation process has been interesting to say the least but I’m starting to find my groove. Actually, I plan on starting some kind of guide for Southern California Transplants who need to jump start their new lives on the West Coast. So I guess this is the inaugural piece of a series to be named at a later date. Ah the comic book store, one of my favorite pastimes. To keep it short, there’s something about these establishments that strike a storm of decent memories from my childhood. 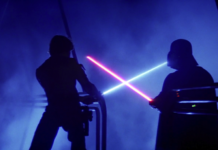 And in my adult years I find a shot of nostalgia to be a great thing every so often. Which is why I’m writing about a place I feel I was always looking for since I arrived on the West Coast. No joke, it’s called “A Shop Called Quest”. Michael Rapaport would cream his Golden State Warriors shorts. My girlfriend surprised me and really showed how much she actually knows me by introducing me to this market of graphic glory. Did I mention the joint lies within Los Angeles’ Arts District? Hands down one of the best areas of the city. For Mid-Western Transplants, you’d feel right at home. Breweries now occupying what used to be old textile mills or something… uh sign me up! 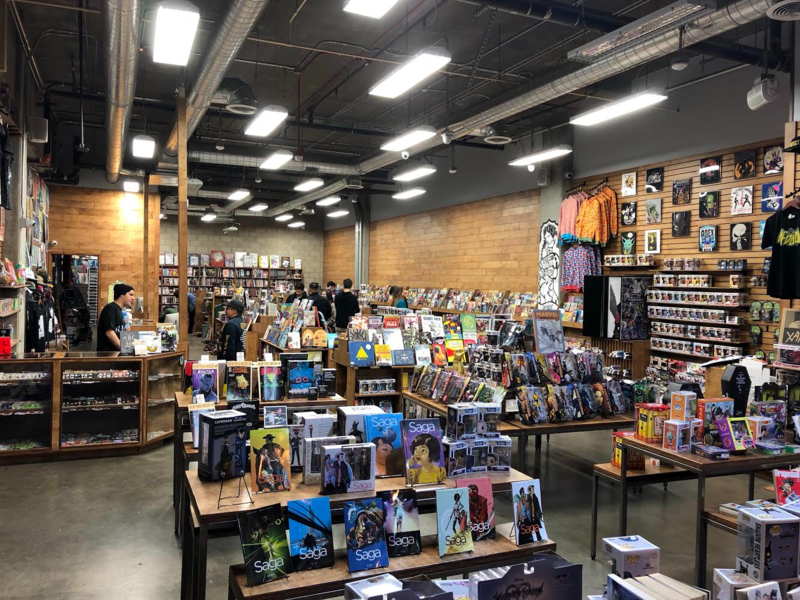 When you enter “Shop” (see what I did there), it feels like you’re at a place perfectly crafted for the modern comic shopper. 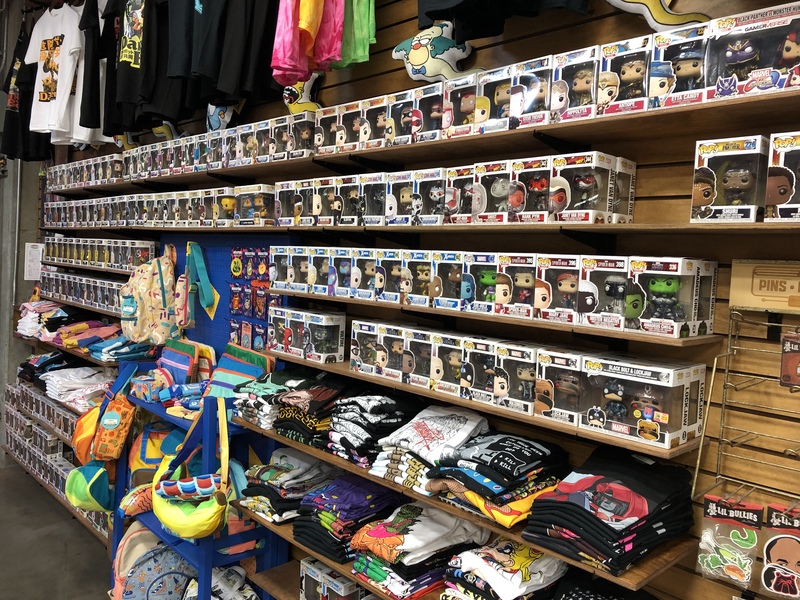 Clean AF, half collectibles half books, a wall of Funk and Simpsons t-shirts, character that screams we have what you want, then more. If you go, let me personally recommend bringing ten extra bucks so you can purchase one of their incredible lapel pins. 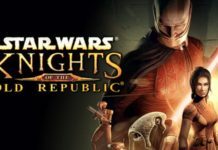 They have many, they’re worth the money, and they’re awesome! By the way, fashionable pins are the next the next hot trend in wearable pop culture. Mark my words. 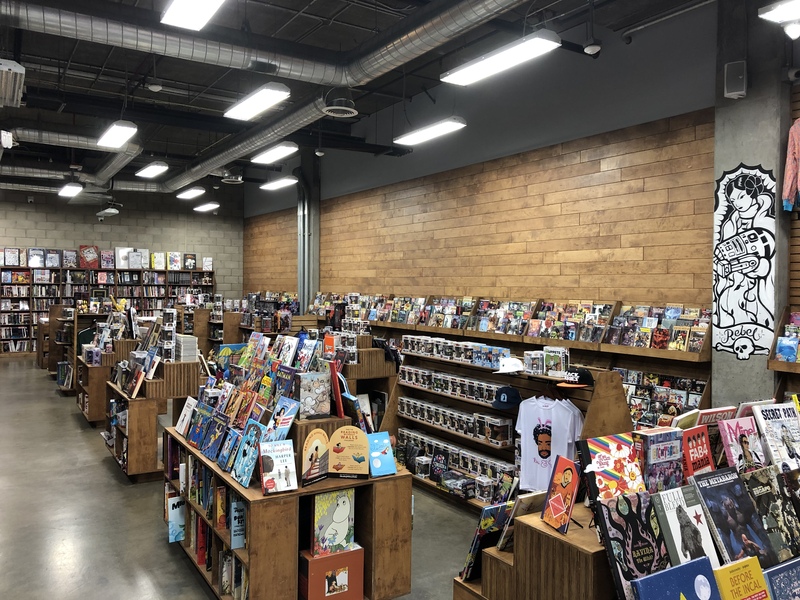 Comic-wise, there’s a whole wall of issues plus the usual shelves of graphic novels while in between are toys ranging from Anime to Star Wars. I’m not too great at describing what a store has to offer so just go there already. Just know A Shop Called Quest has a phenomenal selection and I would cover all my clothes in X-Men Simpsons lapel pins. Plus I’d buy some comics. And if you haven’t listened to A Tribe Called Quest yet… shame. 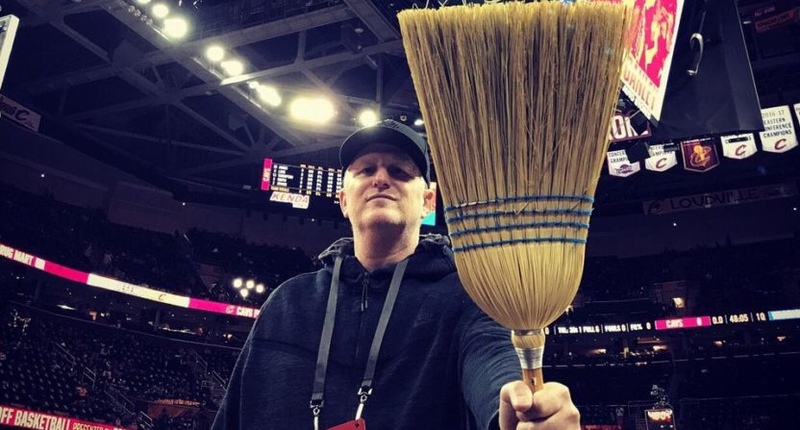 Don’t make Michael Rapaport get out his broom. I hate that this image was taken in my hometown. A Shop Called Quest is located at 300 South Santa Fe Avenue B in Los Angeles. 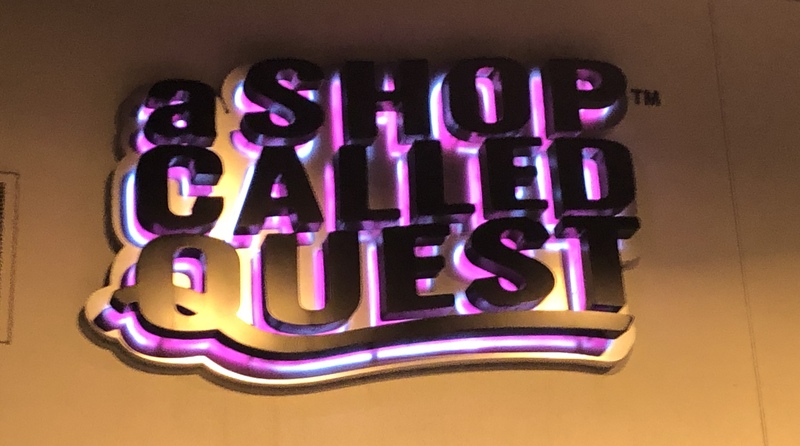 Have you been to A Shop Called Quest? Let Nerdbot know in the comments!! Previous articleRAZR Phones are Coming Back!